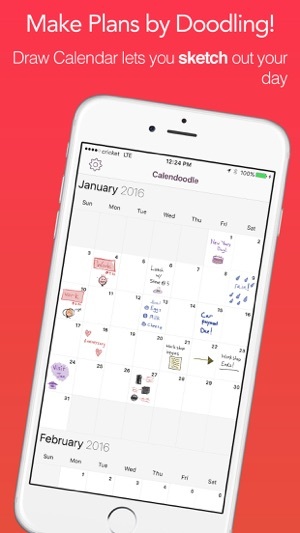 Draw Calendar takes the timeless tradition of writing on a planner, whiteboard, or wall calendar, and brings it to life on iOS. 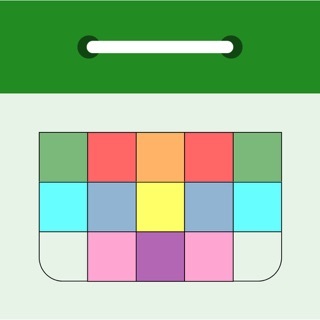 The app is a fun and unique spin on traditional calendar apps, and stands as proof that keeping a schedule or staying organized can actually be fun. 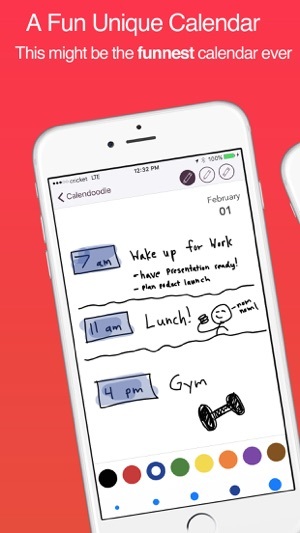 Free yourself from the shackles of tedious data entry, and instead plan out your day with handwriting and doodles. Markup, sketch, and get in touch with your creative side while still remaining incredibly productive. 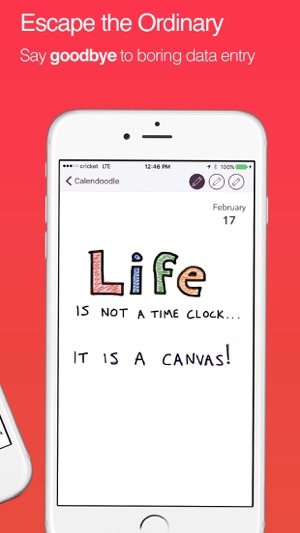 • Plan your day by sketching! 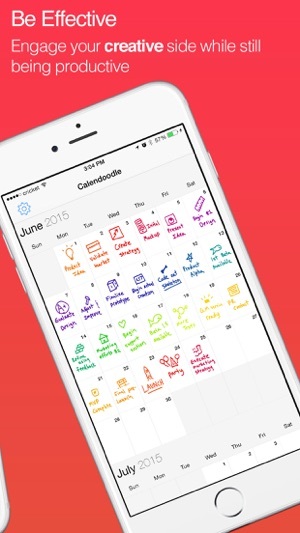 If you are tired of traditional calendar apps, give Draw Calendar a try. We think you are going to love it! 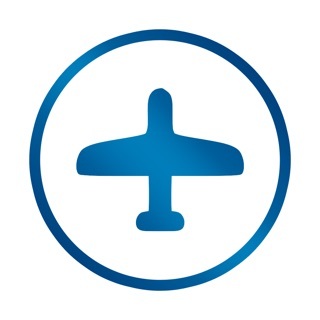 I truly was excited to use this app, the concept was something I was interested in and worth it, but boy was I wrong. I WASTED MONEY ON THIS APP. 1 issue is that there is no undo button, only manually erasing or erase all on page, BUT that is something that I was willing to overlook considering I had no other issues. Issue 2, there is a serious lag. When I click to open the drawing, it’ll sometimes be a blank page and I have to wait at least 10 seconds for what I drew to show. Other times it mostly opens up to previous drawings not the current one that shows when the calendar is displayed. Issue 3, there is no way to recover password, you will not get an email as it states when you forget your password. Issue 4, no way to delete account, no settings on app whatsoever. Only logout button and review button. Issue 5, email to log in is case sensitive. I am not able to log in on my iPhone with the email I did with my iPad Pro, I have to change the uppercase to all lowercase for me to log in. Now I have 2 accounts for this app with THE SAME email, just one all uppercase and one lowercase, which is ridiculous. Will not be using this app for a long while until there is a huge update to fix these ridiculous issues. I love digital planning, and it’s one of the main reasons I bought my iPad Pro (which is the device I use this app on mainly). However, when I tried to do monthly spreads in journaling apps, I found the boxes too small, so I turned to this app. It did not disappoint. I love the core concept of this app so much. 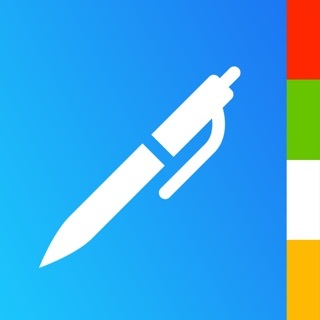 A few things I would fix would be the limited color options for the pencil and highlighter, limited brush sizes for both tools, and the lack of a redo/undo button. Another cool feature I would implement is a “cover” option where you can write a small summary as a cover which would be seen when the full calendar spread is open. For example, my cover would say “math project due” and when I open the date I would have a list of things needed to be accomplished in order to complete my project. Just an idea, though! I was struggling to keep up with my planner, but none of the calendar apps I tried worked for me because I wanted to hand write my events. That’s when I found this gem of an app! 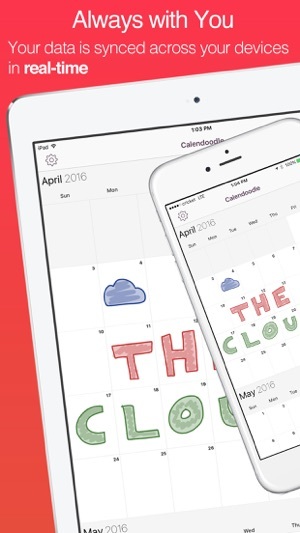 With Draw Calendar, I can hand write my plans without having to keep up with a planner. Instead, my calendar is with me whether I have my iPad Pro or just my iPhone (because it syncs across devices beautifully). Being able to write and doodle on my calendar has been so much fun (not to mention I remember everything I write much better than I recall what I type). The only thing that would make the app a bit better is if there were an undo button to erase accidental marks quickly. Otherwise, the calendar’s simple, straightforward format is a pleasure to use. Thank you so much for this app!